Twenty years have passed since the beginning of the first Chechen war. How has the country changed in this period and what happened to the many men and women who fought for independence? With this starting point, journalist and filmmaker Manon Loizeau revisited Chechnya, a country where she had previously lived and reported from during the war. 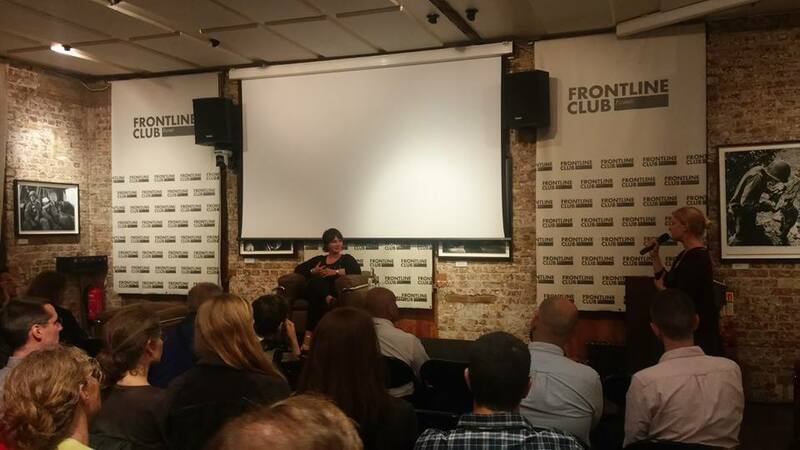 The resulting documentary, Chechnya, War Without Trace, was screened ahead of its premiere on Al Jazeera on Friday 12 June to an audience at the Frontline Club. History in Chechnya is re-written everyday: those who fought and died for independence are forgotten, and Putin’s birthday is a national celebration. How has this happened? Loizeau told the Frontline Club audience that she had originally intended to interview those people that she had met decades before during the war against Russia. However, very few were willing to speak with her. Before the annexation of Crimea, Chechnya received the highest amount of financial support from Russia. Kadyrov consequently bribed regional clans, buying their support. But money alone could not have achieved such a radical turnaround in national sentiment: terror and fear have also played a significant role in allowing Kadyrov’s grip to tighten around Chechnya. Human Rights Watch estimates that 5,000 people disappeared during the second Chechen war alone, and – as Loizeau‘s documentary highlights – many families still don’t have an answer as to what happened to their loved ones. Terror in Chechnya is commonplace, with rampant threats, intimidations, disappearances and murders. Few are those who risk their lives and livelihoods to denounce and actively oppose Kadyrov’s police state, but the lawyers of the Committee Against Torture are among those who take a stand. Entire chapters of Chechen history have been erased. When prominent Chechen politician Ruslan Kutayev referenced at a public conference the deportation of 500,000 Chechens by Stalinist Russia, he was subsequently arrested on charges of drug possession and sentenced to four years in jail. More information on Chechnya, War Without Trace is available here.